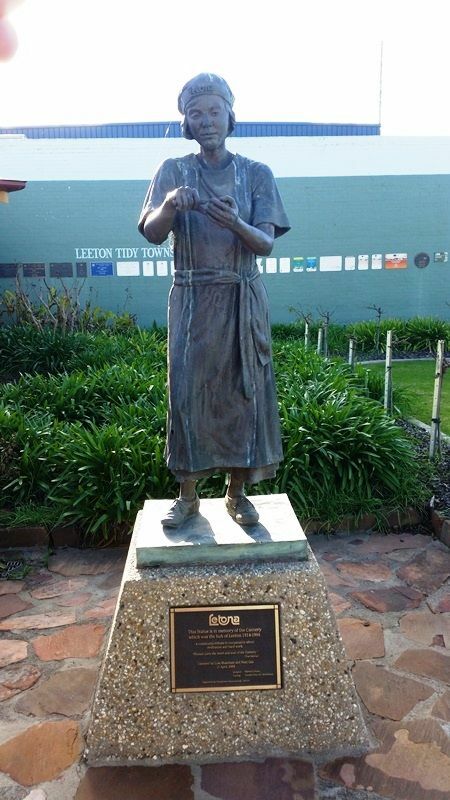 State erected in memory of the Letona Cannery which was the hub of the Leeton community from 1914 to 1994. A plaque also pays tribute to those who worked in the cannery, the growers who produced the fruit amd vegetables and the contribution that Letona made to the district. The original cannery which formed Letona was built in 1914 by the New South Wales Government as part of the Murrumbidgee Irrigation Project-an initiative that focused on the management of water resources in Leeton and the surrounding district. However, the management of the Leeton State Cannery by the Water Conservation and Irrigation Commission (WW&IC) came under a lot of criticism from fruit growers by the 1930s. A combination of factors contributed to the cannery's financial woes, including market instability for canned fruit, poor market advice, poor growing seasons, interest repayments, obsolete machinery, competition and reduced working hours. In 1934, the future management of the cannery was the subject of much discussion during a meeting of the Cannery Advisory Board of Management, which was attended by representatives from the WC&IC and several Fruitgrowers' Co-operatives. At some point during that year, the WC&IC indicated to fruit growers that they intended to sell off the cannery by July 1937. George Enticknap, then Chairman of the Australian Canning Fruitgrowers Association, worked expeditiously with other fruit growers to secure control of the cannery before the proposed date. The takeover was officiated by the passing of the State Cannery (Sale) Act 1935, which became effective from 11 April 1935. A formal Memorandum of Agreement was drafted and signed between the Leeton, Griffith and Yenda Fruitgrowers' Co-operatives and the Leeton Co-operative Cannery Ltd. on 21 June 1935. Jack Brady, who was already acting as Manager of the Leeton State Cannery since 1921, was appointed the first Manager of Letona to oversee its smooth transition. In its first ten years, the Board of Directors insisted that expenditure be outlaid on modernising and improving the layout of the plant so as to maintain supply and remain competitive with foreign markets. During World War Two, Letona adapted to wartime conditions and commenced processing vegetables in preference to fruit. With so many Letona processors enlisted in the war, Land Army Girls and even children as young as eleven were employed extensively throughout the cannery to keep up with demand. After the war, the cannery returned to processing fruit when vegetable production was diminishing. Until the 1970s, Letona maintained a policy of accepting and processing all types of fruit, despite an oversupply in canned fruit in markets overseas. Oblivious to global and domestic competition, Letona continued to modernise and expand, employing a large number of full-time and seasonal workers. The cannery's financial difficulties continued throughout much of the eighties, as Directors were adamant about curing the ailing cannery industry with high expenditure. Unfortunately, shareholders were unable to recognise the declining state of the Co-operative. By 1993, the financial situation at Letona had deteriorated drastically. Despite efforts of public rallying by local citizens, Co-operative members, employees and politicians, Letona finally sunk into receivership on 27 August 1993 and ceased operation on 29 July 1994.
which was the hub of Leeton 1914 -1994. "Women were the heart and soul of the Cannery."